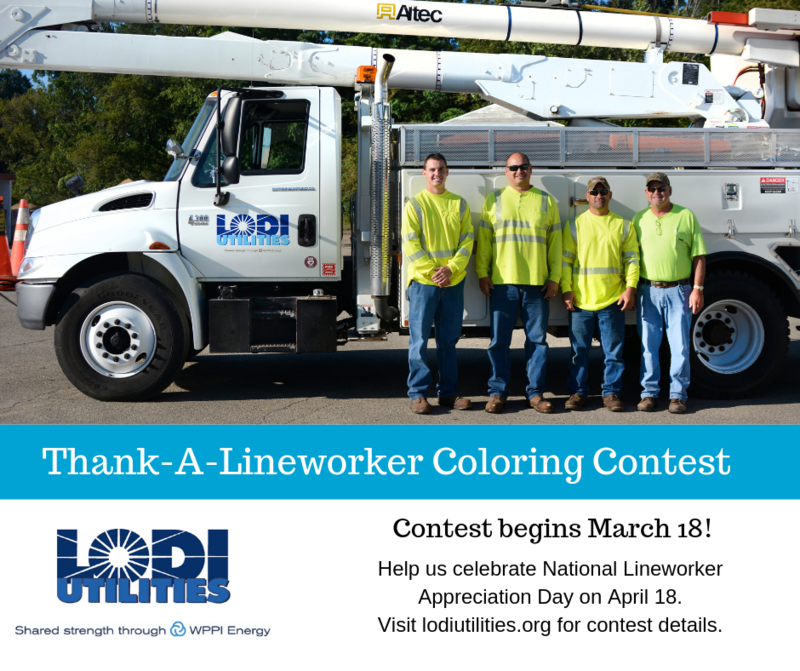 To celebrate National Lineworker Appreciation Day on April 18, Lodi Utilities is pleased to announce a coloring contest for children. Deadline for entry is Friday, April 12th. The coloring contest runs from March 18 to April 12 to raise awareness and show appreciation to the local utility’s line crew. One of the benefits of a locally owned, not-for-profit utility, like Lodi Utilities, is a dedicated, hometown line crew ready to respond quickly when issues arise. The entry form with contest details and coloring page can be downloaded here or can be picked up at the utility office at 130 South Main Street.